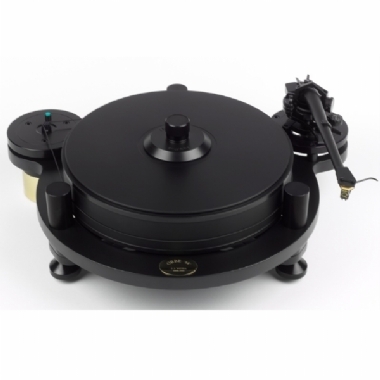 Michell Orbe SE Turntable with SME 309 Tone Arm & Ortofon Quintet Black Cartridge. Available with our Online Finance. By eliminating much of the expensive acrylic, the Michell Orbe SE offers most of the Orbe’s qualities in a cheaper, smaller, and to some people aesthetically more pleasing package. An Orbe SE can always be upgraded to a full Orbe by purchasing the double plinth and dustcover.